As a new dog owner it is perfectly normal to see your recent addition to the family as a complete mystery. Particularly with so much, and often conflicting, dog training advice available. It is true that we are a completely different species to the canine and that we don’t speak the same language. It is possible however to communicate perfectly well and develop a great relationship with your new dog. To be a good dog trainer and kind to your new canine ignore all of the above. Methods that involve punishment are dated and unfair to the dog, any dog training type that is based on dominance and wolf behavior is also inaccurate. The only ethical way to train your dog is with kindness and positive reinforcement. Teach your dog with a suitable reward to ensure his attention and motivation during training sessions. Positive reinforcement is based on rewarding a behavior with pinpoint accuracy, often with a treat or toy. It can be very difficult to give your dog either of these rewards quickly therefore difficult to pinpoint a particular behavior. So we use a cue word or other sound to show the dog that this particular behavior has provided the reward. 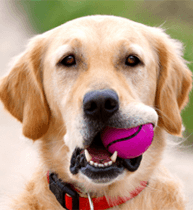 It is fairly easy to teach your dog to associate a stimulus or sound with reward. In the early 1900’s Scientist Ivan Pavlov learned that dogs in his laboratory would salivate at the sound of a bell. This was after a short time ringing the bell before meals because they associated the bell sound with feeding time. In modern dog training we utilize this association to teach our dogs how we would like them to behave. Clicker training is a prime example of this, the dog is taught to associate the click with a food reward. The click sound can then be used to pinpoint a behavior with accuracy and show the dog exactly which behavior earned him the reward. When working out how to train your dog to sit using reward and reinforcement timing is crucial. If your dog offers three different behaviors in succession it is easy to reinforce the wrong one. Positive reinforcement is based on accurate timing for reward. So if you are training your dog to sit and within two minutes he sits, jumps up and barks it is easy to reinforce any of those with inaccurate timing. So to train your dog to sit for a reward be careful with your timing. It is easy for your dog to associate anything he is doing at the time with reinforcement. If you say good boy and give him a treat for any behavior he will always repeat that behavior in the hope of getting a treat. Show your dog a reward, something that he really likes and that will motivate him. When you have his attention with the reward simply wait whilst he works out how he can get the treat from you. Eventually your dog will sit to try and work out what to do next, immediately reinforce with your association sound (click) or word. Then give him his treat. Repeat this and each time you will see that your dog is offering the sit sooner. 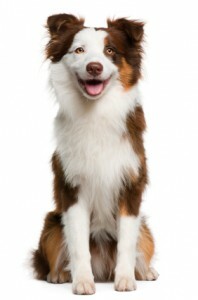 Your dog has learned to sit by working it out for himself in order to gain a reward. Now you can introduce the command word sit, your dog will soon learn that this particular word is a prompt for the sit response. When your dog learns with positive reinforcement he has to really think. The thinking involved ensures that your dog learns thoroughly and effectively. Each command you teach your dog by using this method will stay in his mind forever, for it is learned with motivation and a pleasurable experience. My puppy MAX is a 20 weeks old golden retriever, I started training him to sit down two weeks ago, and I was very surprised about the results. Now Max sits down and waits for his treat. But I don’t know what went wrong, because max sits down only if he’s aware that I have treats in my hands, otherwise he ignores me. How can I get Max to sit down without giving him a treat? The other thing is that Max digs everywhere in my garden so I’ve got holes all over the yard. How can I correct this behavior? I’ve checked Doggy Dan’s web page without result. Hi Trotsky – thank you for the two excellent questions. I think you should start mixing your reinforcements so that your dog is not dependent on the food in order to sit. I’d say start rewarding one time with food, then another time with praise and attention. Work in sets of 10 and get your dog a break in between sessions. Your dog will eventually do it for praise and attention. You might also consider playing with toys or a game as that is also quite rewarding. As for your dog digging in your backyard … it will require supervision on your part. Just like you need to supervise a puppy not to urinate all over your house, you need to supervise your dog not to dig up the back yard, and yes that means having to go outside with him. Have a long line attached on him if he’s not reliable or runs away from you when you catch him digging. The goal is to curb the habit of digging. Then as your dog shows progress, you can begin to give him a little bit of freedom – but if he digs one hole you’ll have to supervise him for a week, and so on until the habit is gone.